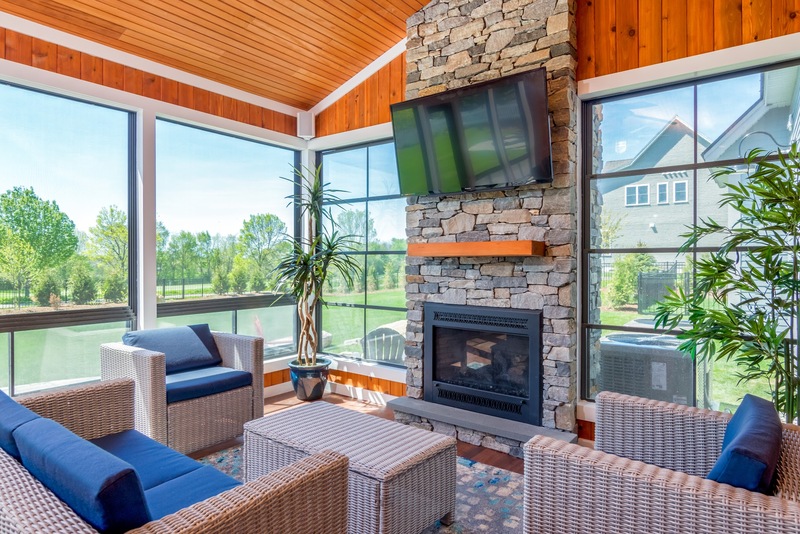 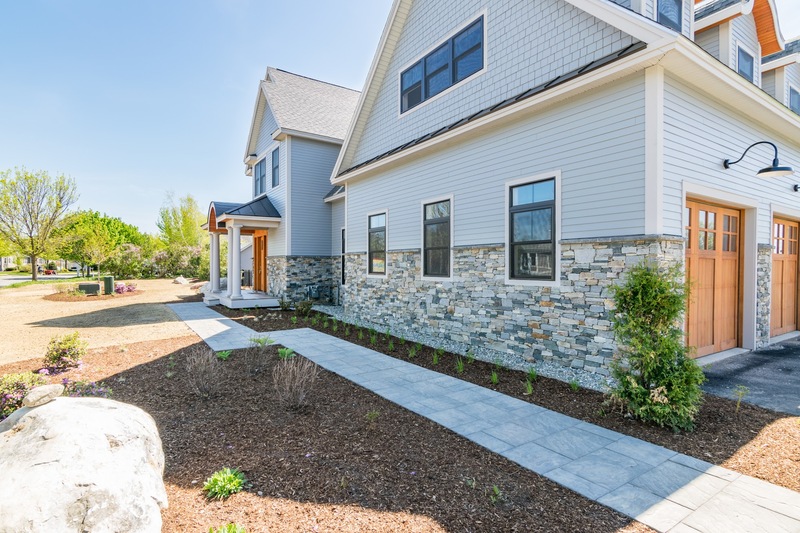 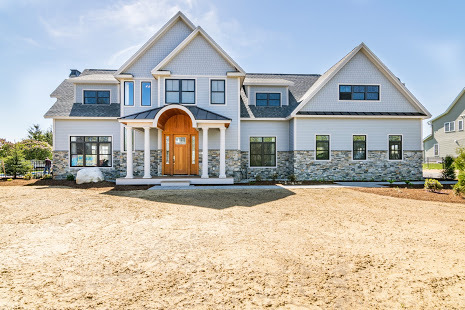 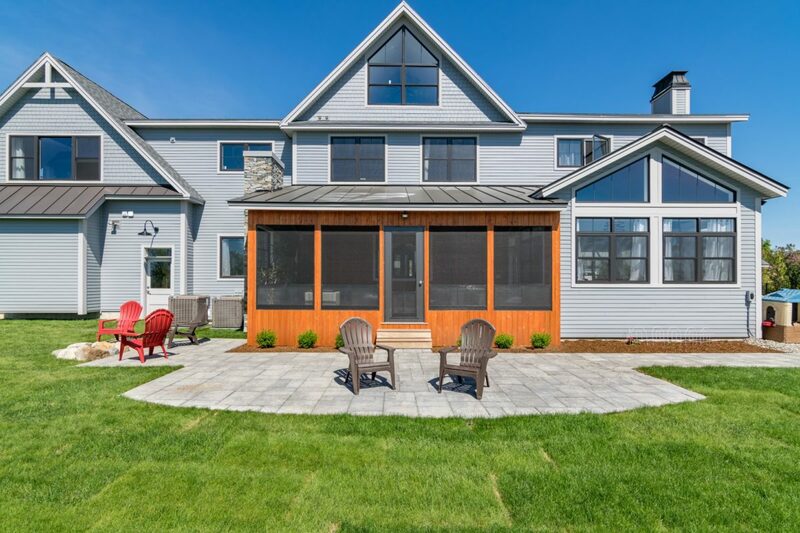 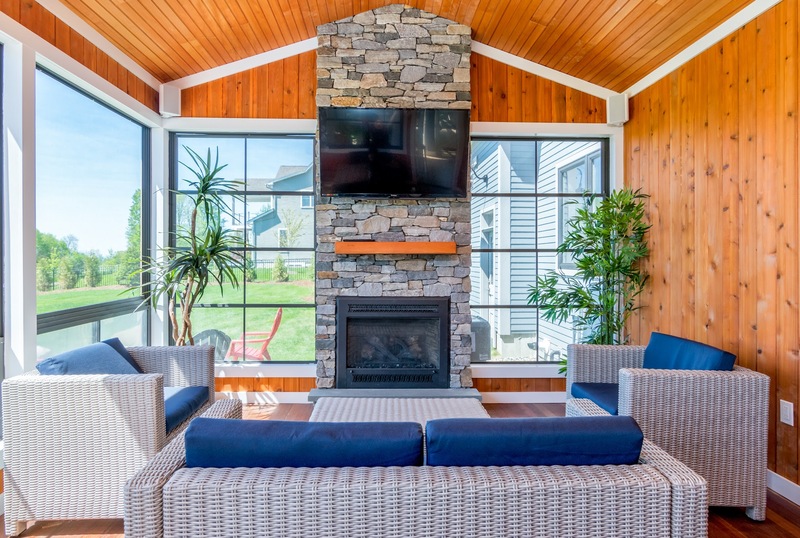 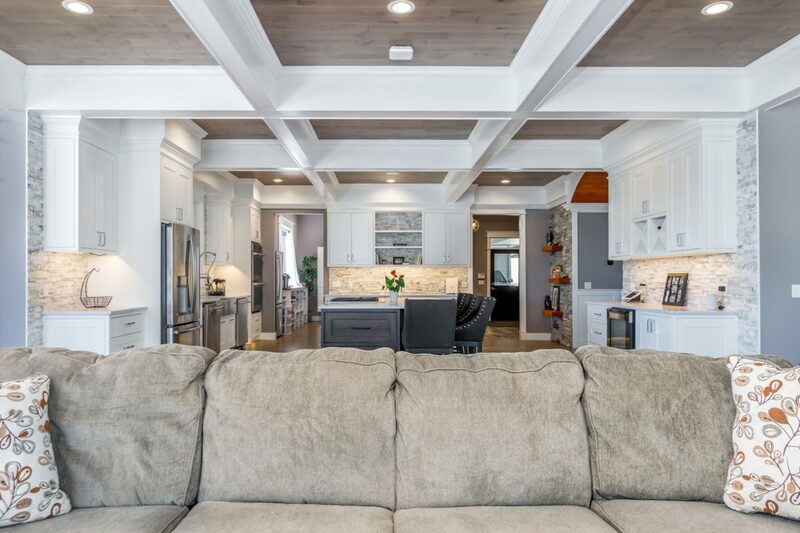 This dream home is situated perfectly on the 16th hole of the famous Vermont National Golf Course and was featured on the front cover of Vermont’s Trend Magazine. 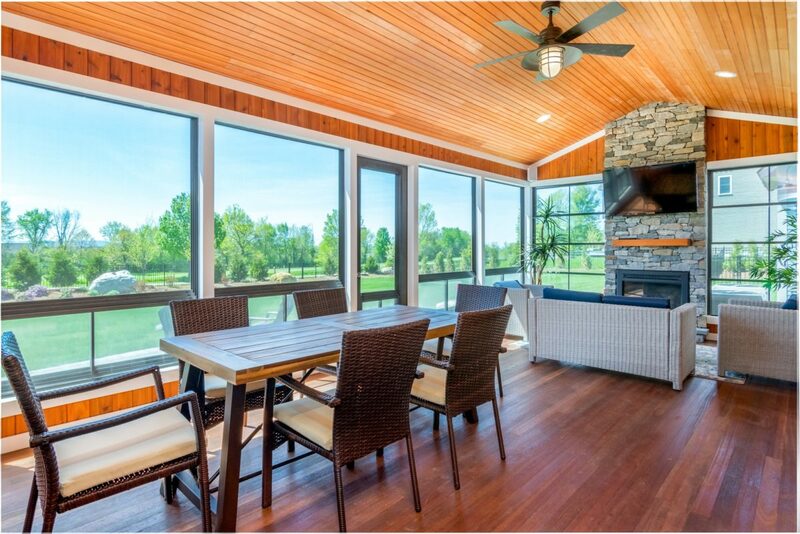 From every floor, this home presents breathtaking westerly views of the lake and mountains. 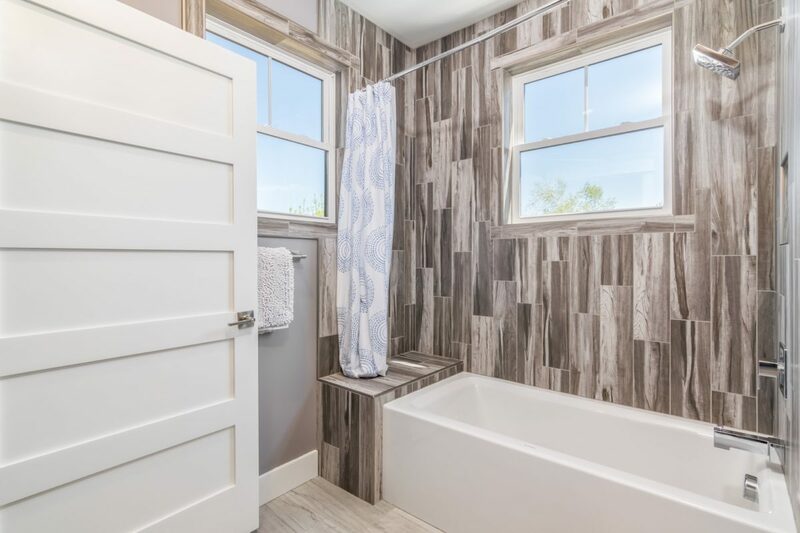 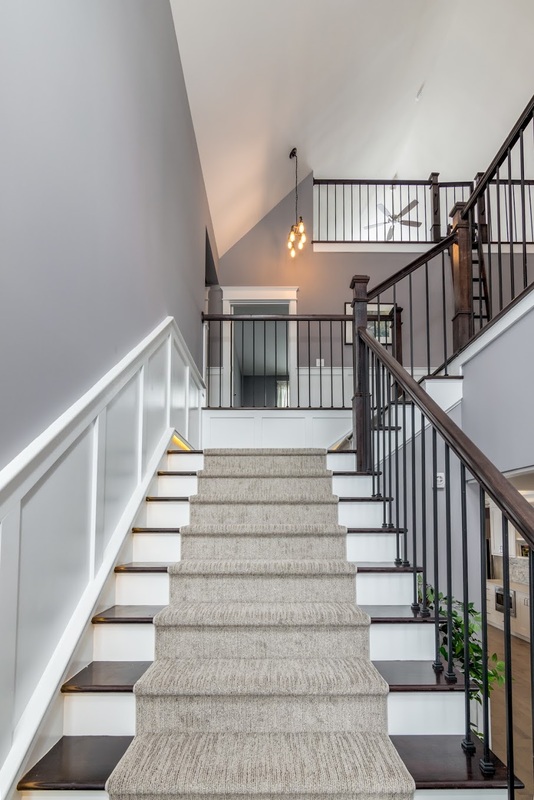 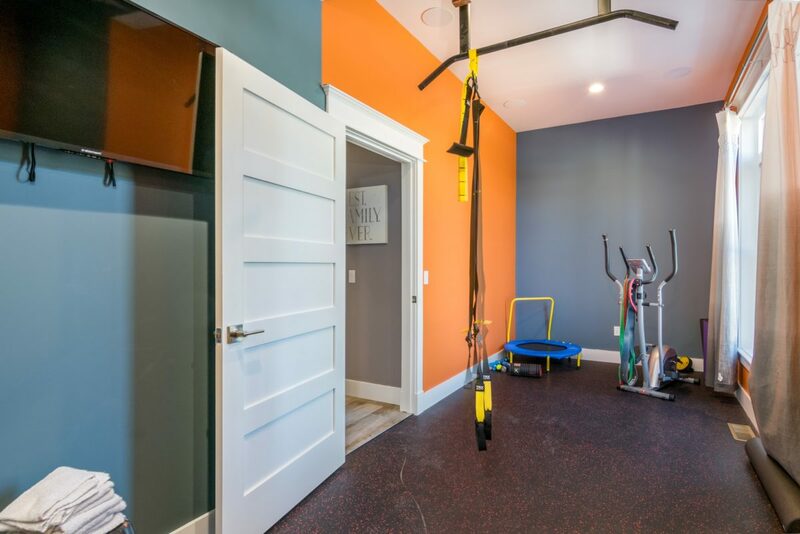 Equipped with four bedrooms, den, gym, loft, and 3.5 baths, this beautiful home offers 10’ ceilings on first floor and 9’ ceilings on the second floor. 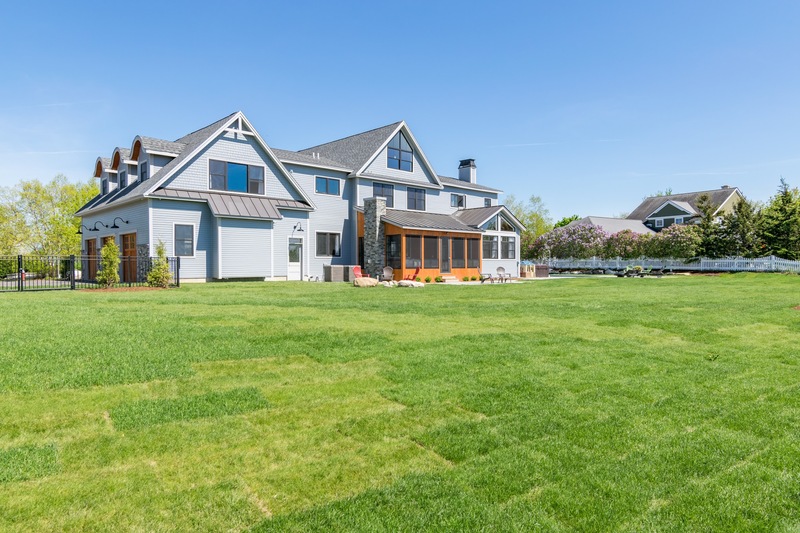 The home is kept together by 14 steel beams for structural support to maintain the charming open floor plan. 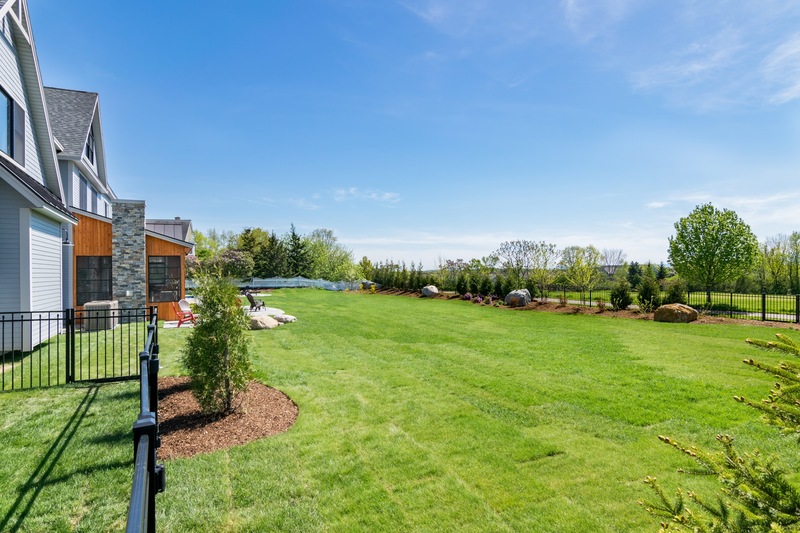 Professionally landscaped to accentuate the custom-built pool, the backyard is fully fenced on a double lo featuring a full wrap around deck, large hot tub and allows for the family to relax and enjoy the gorgeous views. 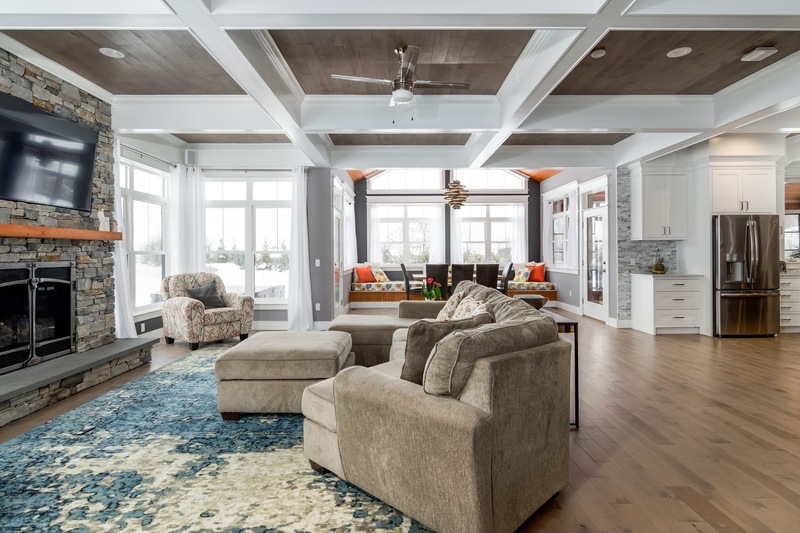 Smart technology throughout the home offers integrated lights, television, music and heating with voice activation as well as controls through a connected iPad. 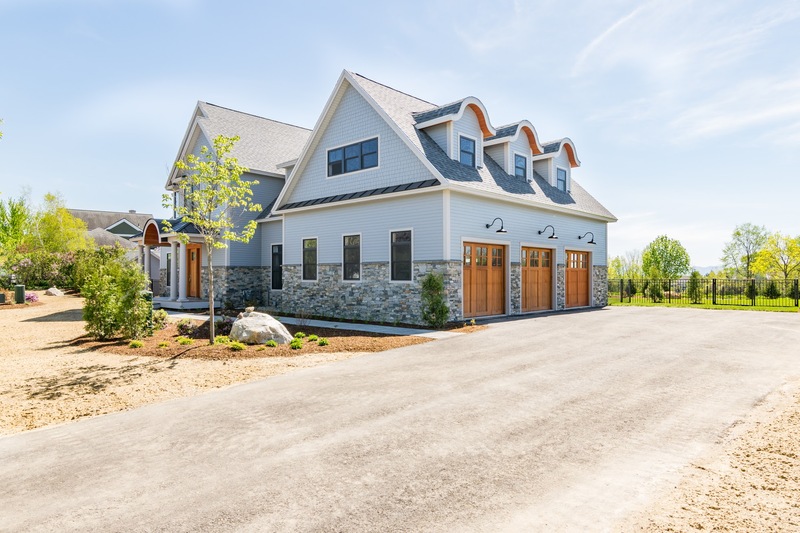 Installed security system and cameras allow for family security. 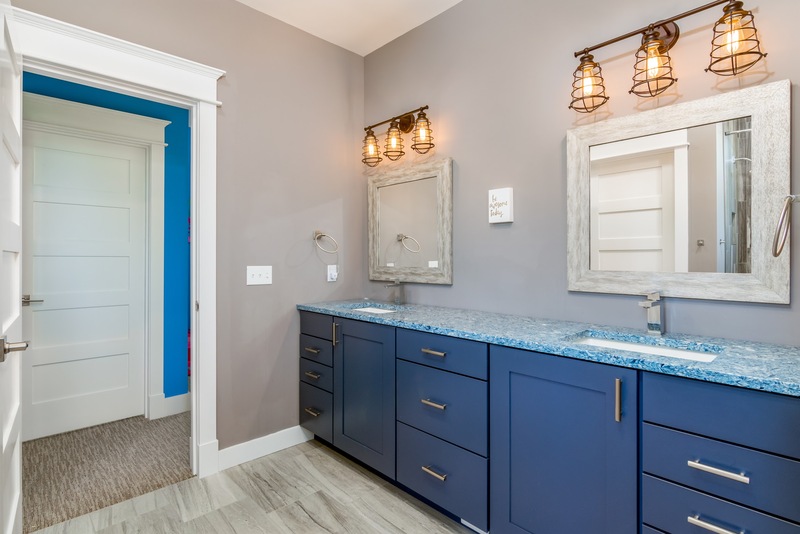 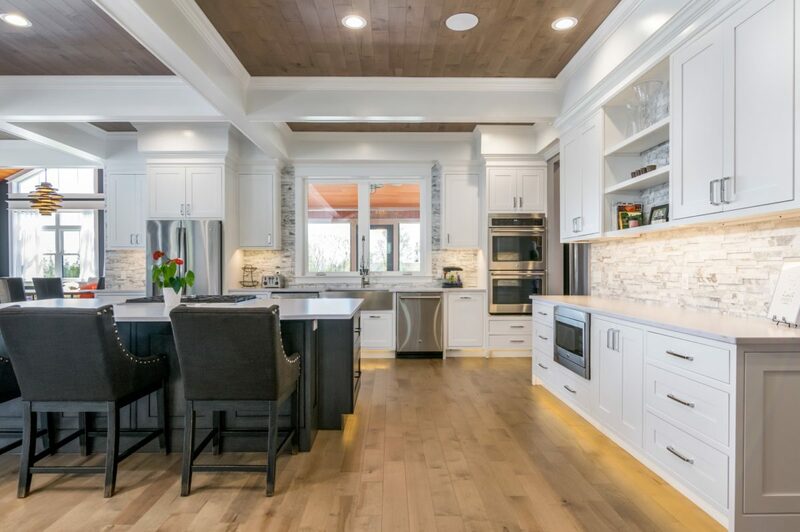 One incredible feature of this home is the craftsman style kitchen featuring oversized windows with clear visibility to the outside, custom built Cabico cabinets with under lighting, two dishwashers, two refrigerators, a bar fridge, and a 36” gas range with automatic down draft. 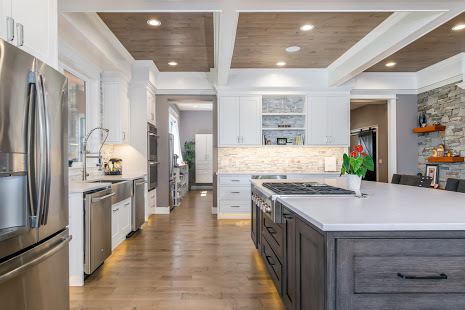 Connected to the kitchen is an expansive custom-built pantry with a café inspired bar presenting Shelburne Farms live-edge Cherry. 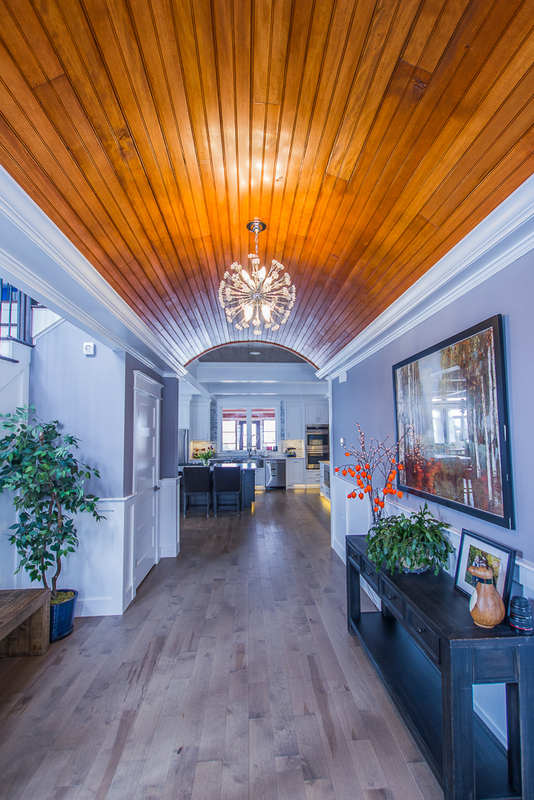 The custom-built coffered ceilings were constructed to match the flooring on the first floor. 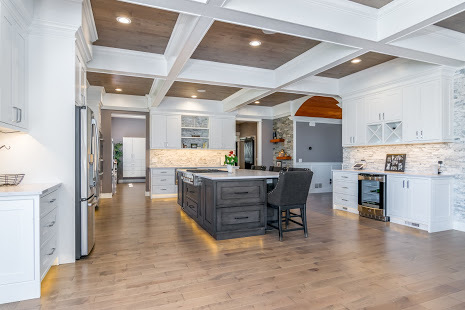 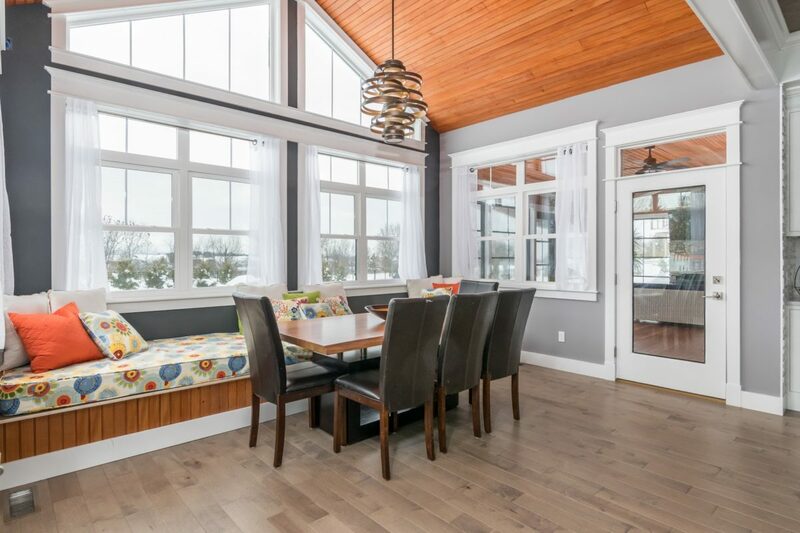 This home’s open-concept floor plans leads from the kitchen into a vaulted dining room with a breathtaking Douglas fir ceiling. 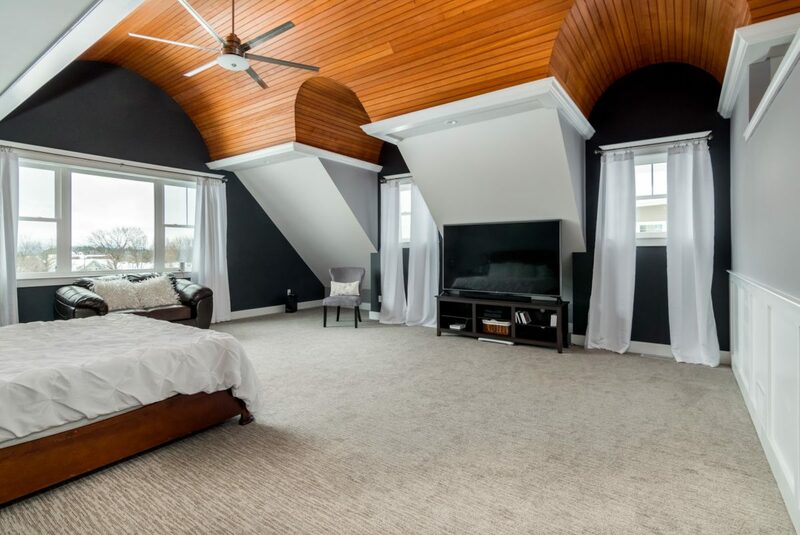 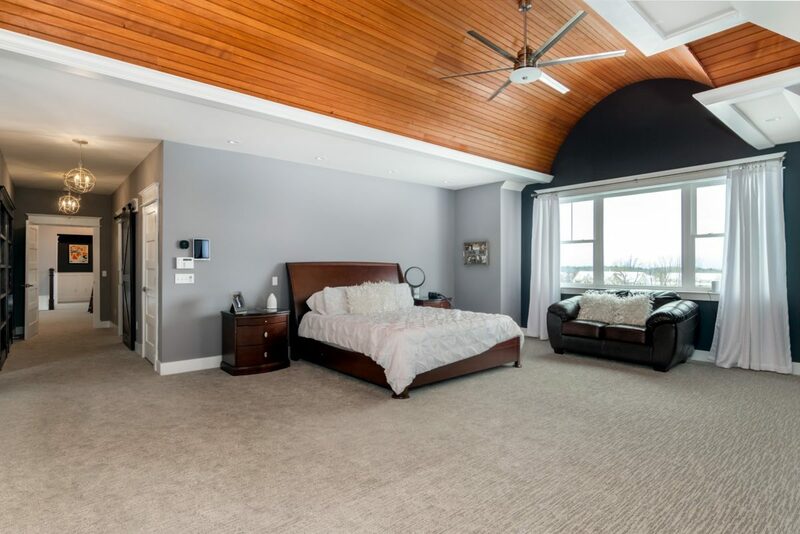 Oversized windows on the second floor allow the home abundant natural lighting, especially in the loft style master suite. 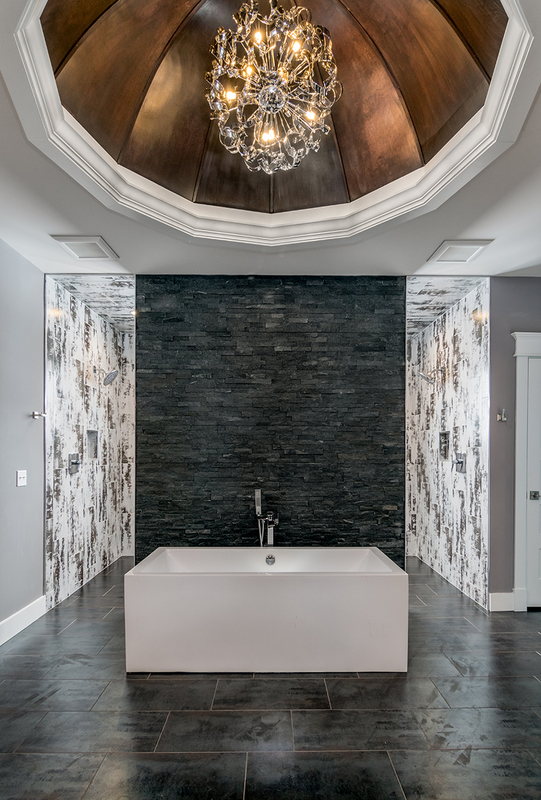 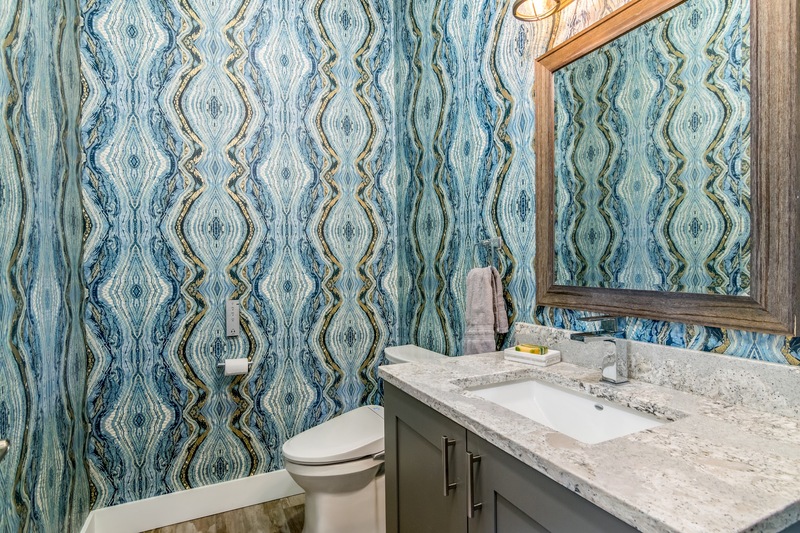 Featured in New England’s Trend Magazine is the spa like master bathroom with a dome ceiling, one secret room, secret vault, and a curb less 12’ shower with views of the mountains and lake. 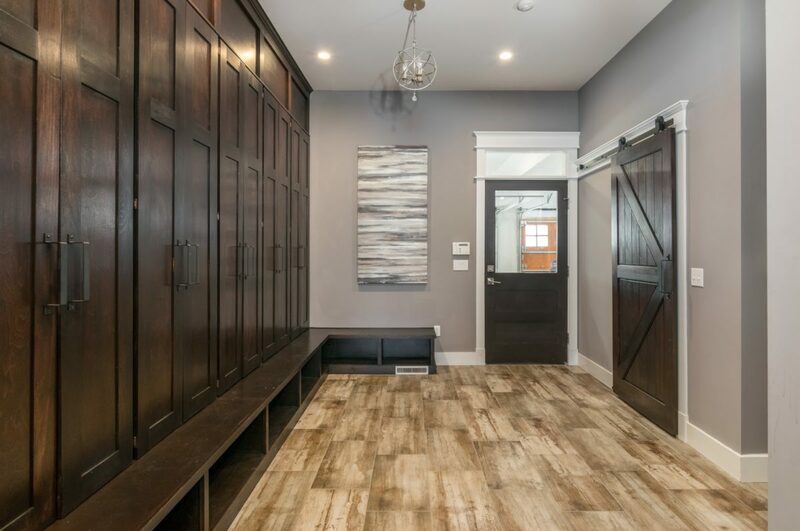 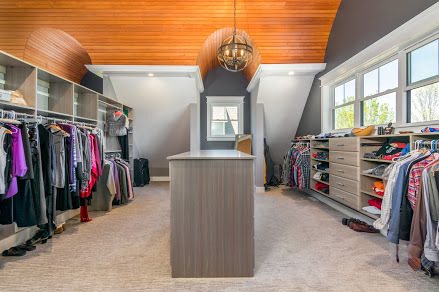 The extensive master closet displays custom built drawers and shelving, a full-length half circle ceiling, and access to the third story loft with 180-degree views.